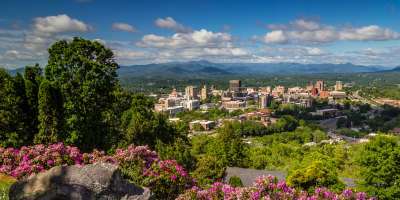 As winter gives way to milder days, set your sights on spring in one of America’s top outdoor vacation destinations: Asheville, North Carolina. 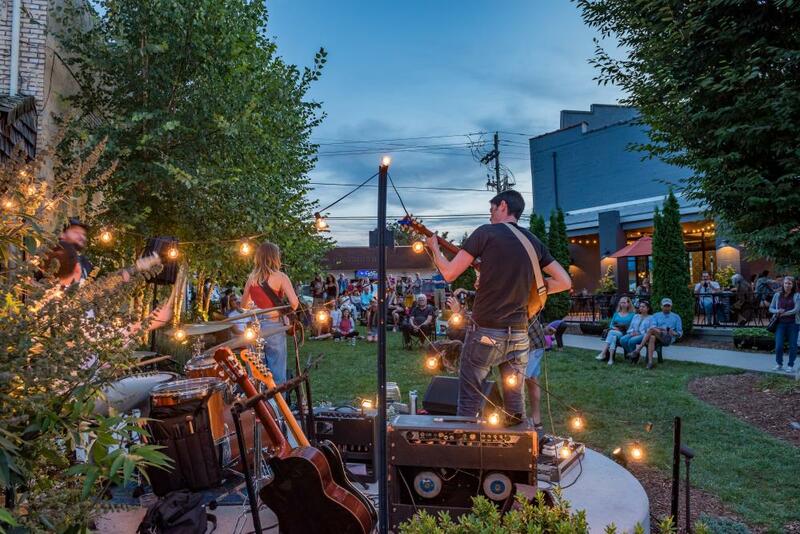 With adventure at the ready and a wave of new culinary, cultural and accommodation offerings, plan to stay and play in this vibrant Blue Ridge Mountain city. Sitting along the famed Blue Ridge Parkway and surrounded by one million acres of protected wilderness, Asheville’s backyard has the highest mountain peaks east of the Mississippi, thousands of miles of hiking and biking trails, unmatched biodiversity that brings a parade of blooming native wildflowers, and George Vanderbilt’s 8,000-acre playground at Biltmore Estate. 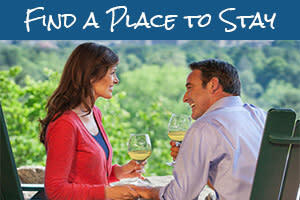 Check out these new or iconic ways to discover springtime in Asheville. 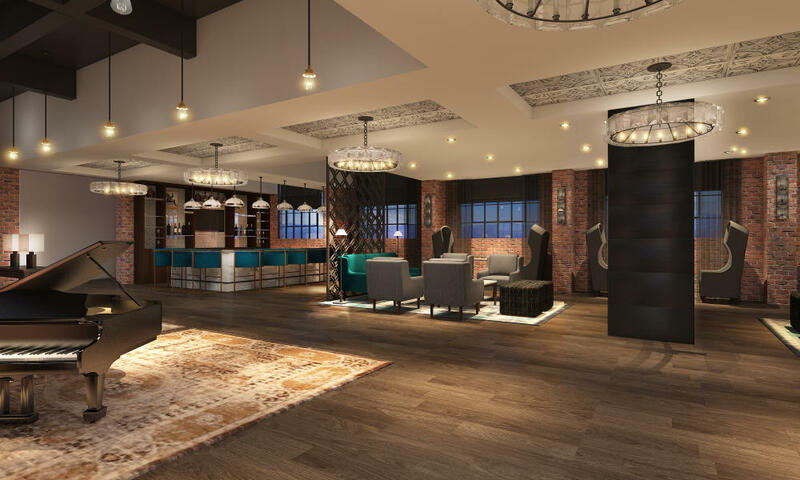 Opt for a room with a view as Asheville’s tallest building is transformed into the 128-room, four-star luxury property Hotel Arras, opening in the heart of downtown just as temperatures start to rise. Book the “Indulgent Preparation” package at The Foundry Hotel (pictured above) that includes a hearty pre-hike breakfast, hiking gear and a guided tour from outdoor outfitter Hunter Banks. This brand-new, preservation-focused boutique hotel also offers a Tesla Model X house car, available for drives along America’s Favorite Drive, the Blue Ridge Parkway. 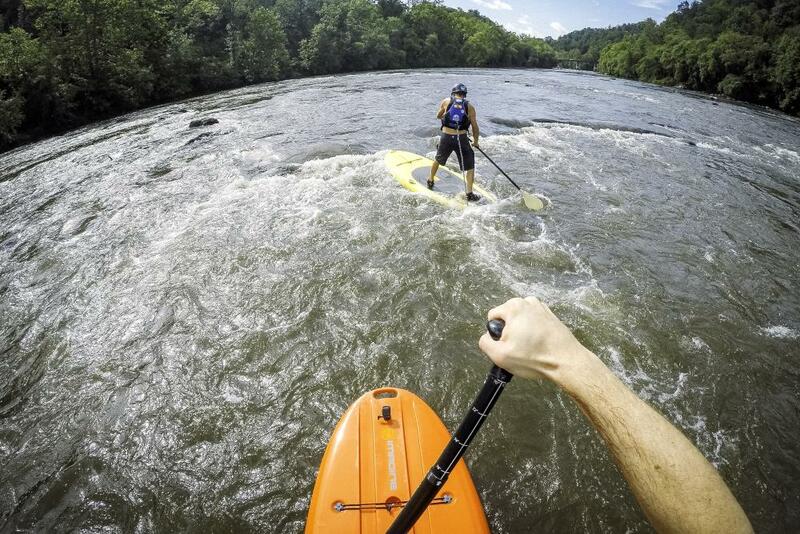 New for the 2019 season, Wai Mauna Asheville SUP Tours (pictured above) bring Asheville’s newest outdoor sports trend to visitors with Intro to Whitewater SUP classes, a two-day course (six hours total) that teaches skills like reading water, catching eddies and river surfing. The Smoky Mountain Adventure Center (in collaboration with Climbmax Climbing, Climbmax Mountain Guides and French Broad Outfitters) is offering a two-day “Outdoor Adventure Package” that includes a half-day of gym climbing and a half-day of kayaking down the French Broad River. 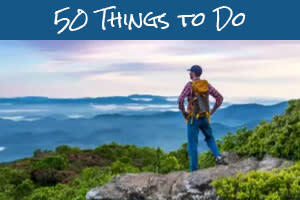 On the second day, a private guide will usher guests to Pisgah National Forest for a full day of outdoor rock climbing. Ride the remote trails and roads of Biltmore Estate via electric recumbent tricycle on the Outrider Tour, experience the thrill of a raptor flying to your hand with a new falconry offering or fly fish from a kayak. 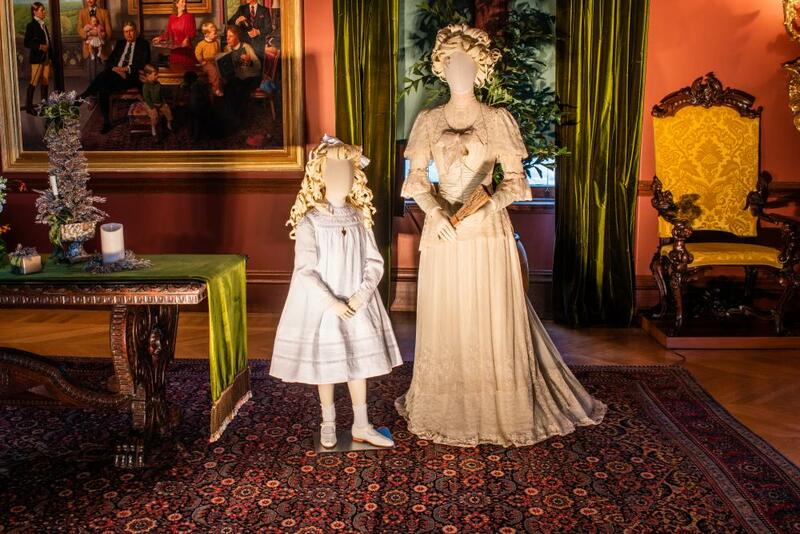 Experience a never-before-seen perspective of America’s Largest Home through “A Vanderbilt House Party: The Gilded Age” costume exhibition (pictured above), Feb. 8 – May 27. Oscar-winning costume designer John Bright has created reproductions of clothing worn by the Vanderbilts, their friends, family and employees. A new audio-guided tour complements the exhibition with narration based on those who lived and worked in Biltmore House. The southern Appalachians—some of the oldest mountains in the world—provide a landscape rich in biodiversity and flora not found anywhere else. The spring wildflower season comes alive in March, as the mountains begin to green up and budding blooms make their way across the range of elevations. From April through June, visitors can expect to see the most blooms appearing at one time. 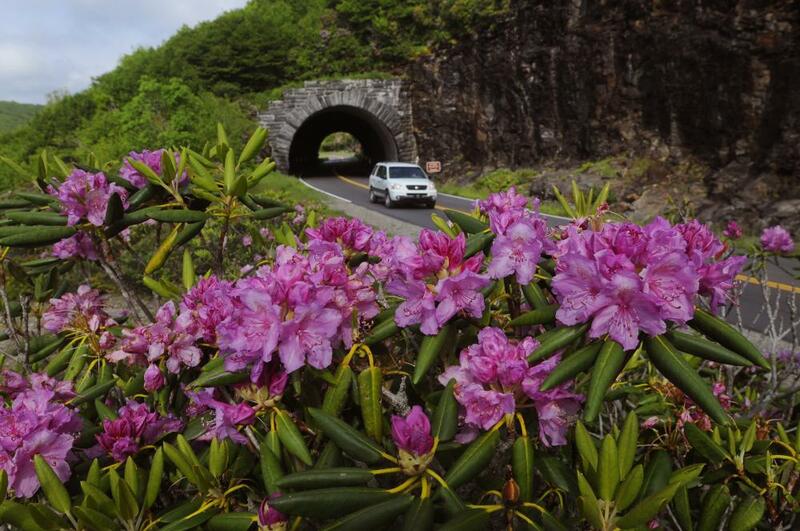 The area’s vibrant and memorable rhododendron that brings pops of white, pink or purple flowers typically appears in late spring, with the famed Catawba rhododendron taking over Craggy Gardens in early June. Biltmore Blooms (pictured above), April 1 – May 23, showcases thousands of tulips, acres of azaleas and rooms full of orchids celebrating the beauty of the estate, including gardens and landscapes designed by Frederick Law Olmsted, father of American landscape architecture. In May, hike to a secret woodland garden—The North Carolina Arboretum’s National Native Azalea Collection—for eye-catching colors and nearly every U.S. azalea species on display. 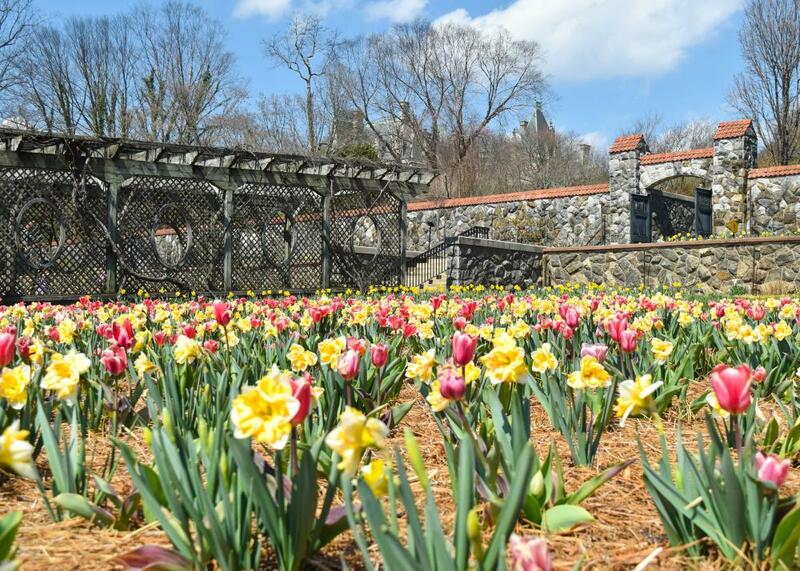 For when to spot the daffodils, painted trillium, dogwoods, fire pinks or more, check out Asheville’s Bloom Schedule. Leading yoga, meditation and hiking experiences in the mountains surrounding Asheville, Namaste in Nature offers public and private tours for folks wanting a deeper connection with the nature around them. These guided hikes include a waterfall or mountain-summit view and meditation and yoga instruction for all skill levels. 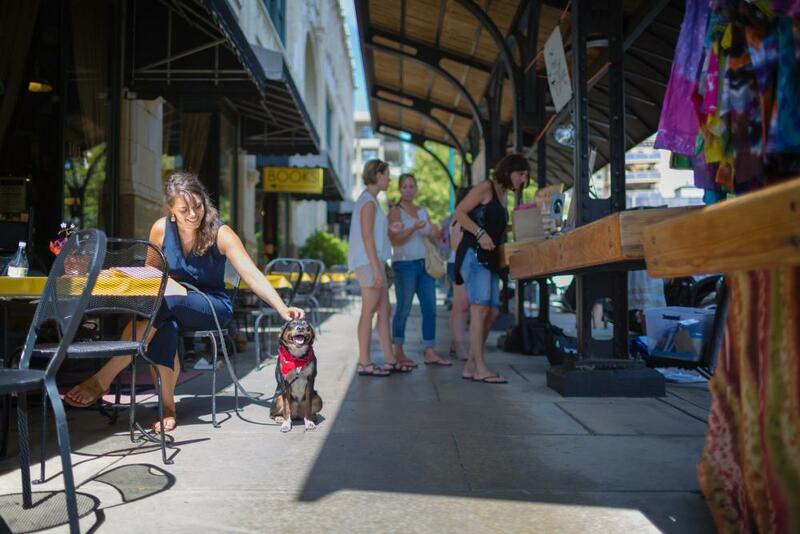 Sit, stay and explore with the new Dog City Tour, starting at Asheville’s Dog Welcome Center (the first of its kind in the country) with stops at local shops and breweries catering to pups, plus a special dining experience for people and their canine companions. As the hemp scene in Asheville grows, Franny’s Farm in nearby Leicester is now offering a Hemp Tour that includes a private look at the farm’s hemp production. Frances “Franny” Tacy is the first female farmer to plant hemp in North Carolina. With four easy access points just minutes from downtown, the Blue Ridge Parkway offers breathtaking views of the highest ridgetops of the Blue Ridge Mountains and a wealth of adventure. From scenic drives to picnics to biking or hiking (Craggy Gardens Pinnacle is a great choice in spring to catch the stunning pink rhododendron blooms that typically appear in late May or early June), exploring Asheville’s surrounding wilderness and natural wonders is just a short jaunt away. More info. Asheville’s much-celebrated breakfast scene gets a boost of new offerings with Benne on Eagle, five-time James Beard semifinalist Chef John Fleer’s newest venture at The Foundry Hotel that pays homage to the often-overlooked contributions of African-American cooks to Appalachian and Southern food. Asheville soul-food icon Hanan Shabazz and Chef de Cuisine Ashleigh Shanti, a young chef who has worked at some of the world’s best restaurants, join Fleer to give proper attribution to the history behind the food. The new morning menu features Lacy Cornmeal Pancakes, Local Honey Cateto Yellow Grits with Sorghum Cream Cheese and Benne Benedict. Coming off the honor of having Food & Wine name Cúrate as one of the “40 Most Important Restaurants of the Past 40 Years,” James Beard semifinalist Chef Katie Button has opened Button & Co. Bagels, an Appalachian-inspired bagel and sandwich shop. Asheville’s first James Beard semifinalist (back in 2010) and owner of Table restaurant, Chef Jacob Sessoms reimagined and rebuilt his beloved Montford neighborhood diner (formerly Tod’s Tasties) under the new name, All Day Darling, as a collaboration with Jay Weatherly of High Five Coffee. In addition to all-day breakfast (all items are served all day! ), the menu blends a healthier concept with a few old favorites. Wicked Weed’s sour-beer facility, Funkatorium, expands on the South Slope with new restaurant Cultura from James Beard semifinalist Chef Jacob Sessoms (of Table restaurant and All Day Darling). Slated to open this spring, it will feature a menu of large-format, wood-roasted shareable meat entrees and a pizza variety using dough fermented with Wicked Weed&apos;s house yeast. Dan Silo—a well-known Asheville chef who counts The Admiral, Buxton Hall and acclaimed restaurants across the U.S. among his prior experience—honors memories from his family’s Adirondack cabin with Sawhorse, a soon-to-open restaurant on the west side of town near the community of Leicester. The stories of Silo’s great-grandmother, who was a lumber-camp cook, helped inform his vision to offer hearty, Northern-inspired comfort food, with house-made cheese curds, preserved meat, boiled egg and salt potatoes and other “lumberjack cuisine” set to be served. 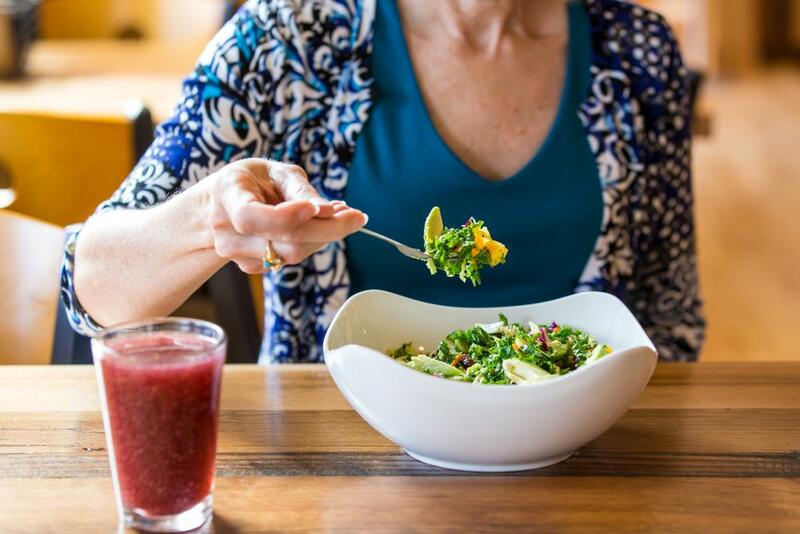 Green Sage’s fourth location, just opened north of downtown, features special plant-based menu items as part of a collaboration with Chef Jason Sellers of vegan restaurant Plant, as well as a line of cold-pressed juices developed by holistic chef, Arrow Gray. White Duck Taco Shop’s new riverfront restaurant opens its Beer Bus (yep, it’s an upcycled school bus) this spring with draft and canned beers, adult slushies, wine and cocktails. The property will also soon offer a beach along the French Broad River, perfect for a tubing pit stop. Set in the buildings that once housed young forestry workers of the Civilian Conservation Corps, Burial Beer Co.’s Forestry Camp Restaurant and Bar is expected to open this season, offering beer, wine and coffee and highlighting local makers, from bakers to artists to musicians. James Beard semifinalist Brian Canipelli, chef and owner of Cucina 24, leads the food program. 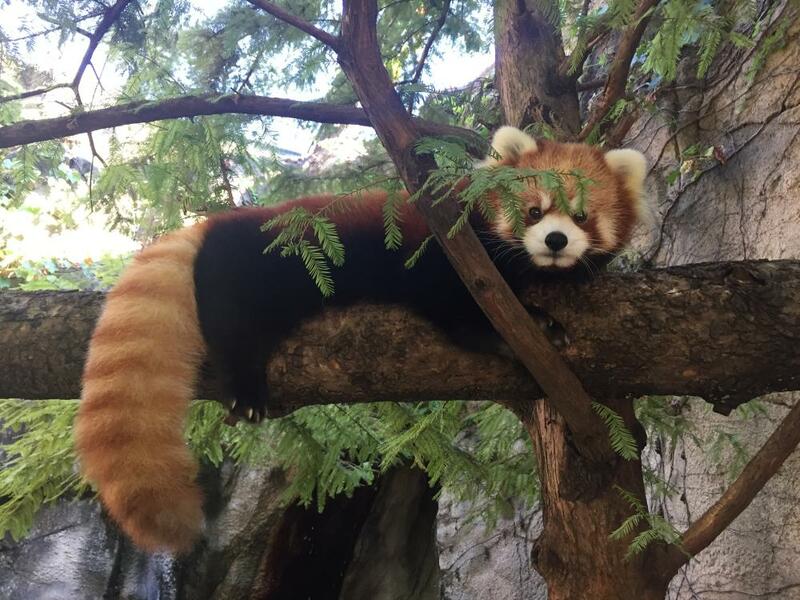 The Western North Carolina Nature Center’s Prehistoric Appalachia Project comes to life with a new red panda exhibit. An ancient ancestor of the endangered animal, the Bristol’s Panda was once prevalent in the region. The male and female pair go on display Feb. 14. Recreational Tree Climbing will be offered at the Adventure Center of Asheville this spring, allowing families the thrill of the climb in a controlled setting. Participants will use specialized gear and techniques, along with a rope, while they climb, without negatively affecting the tree. 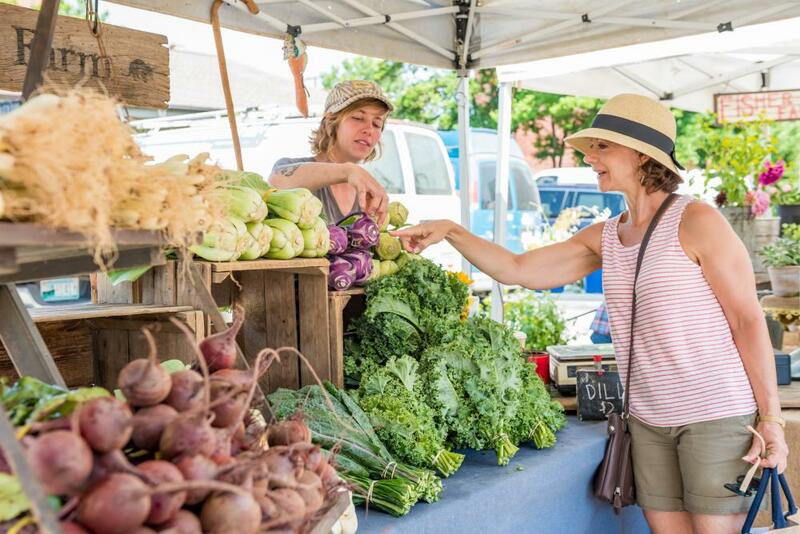 Spring in Asheville brings with it farm-fresh Appalachian fare and the return of the area’s many tailgate markets (what locals call open-air farmers markets). For a more hands-on sampling, hunt for your own seasonal finds (morel mushrooms and ramps are among the highlights to be found in April and May) on a foraging tour or a trip to the wild-edible stand at the River Arts District Farmers Market. Asheville Art Museum reopens this spring with a new state-of-the-art building that features education facilities, an art library, a lecture and performance space, a new ArtPLAYce for families and children and the addition of a rooftop sculpture terrace and cafe. The opening exhibition “Appalachia Now!” is a survey of contemporary art in Southern Appalachia, highlighting 50 emerging artists from the region. 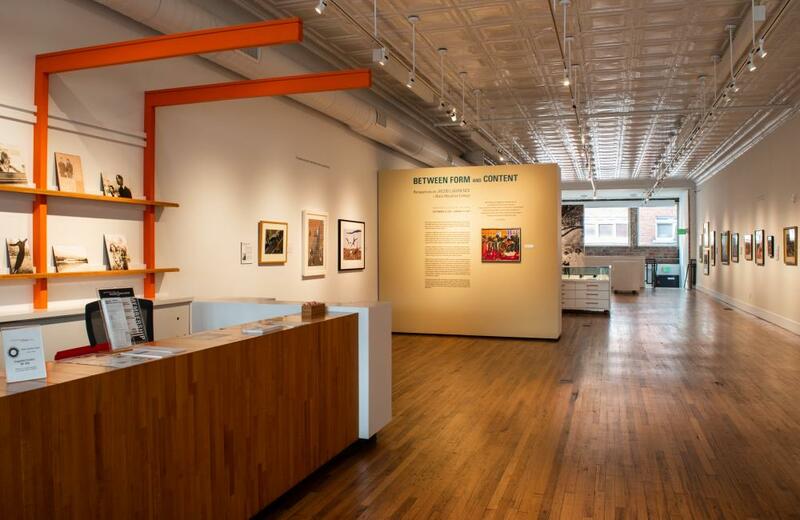 A museum illuminating the legend of iconoclastic Black Mountain College (1933-1957) has moved to the heart of downtown Asheville. Black Mountain College Museum + Arts Center (pictured above) reopened along the greenery and Art Deco architecture of Pack Square Park. Opening downtown, the Moogseum will celebrate the life of Bob Moog, inventor of the Moog Synthesizer that revolutionized almost every genre of music. The Moogseum opens May 23, 2019, which would have been Bob Moog&apos;s 85th birthday. There will be bays of synthesizers, theremins and effect pedals that allow people to explore the science behind electronic music. There will also be a Young Inventors Lab where children can create their own circuit board, an exhibit space and an archival center of rare documents and photos. Asheville’s array of spring festivals offers a full lineup for the coming months. Asheville Amadeus Festival (March 15-24, various locations) will feature performances from two of the world’s top musicians: Asheville native and legendary rock guitarist, Warren Haynes, and renowned pianist, Garrick Ohlsson. 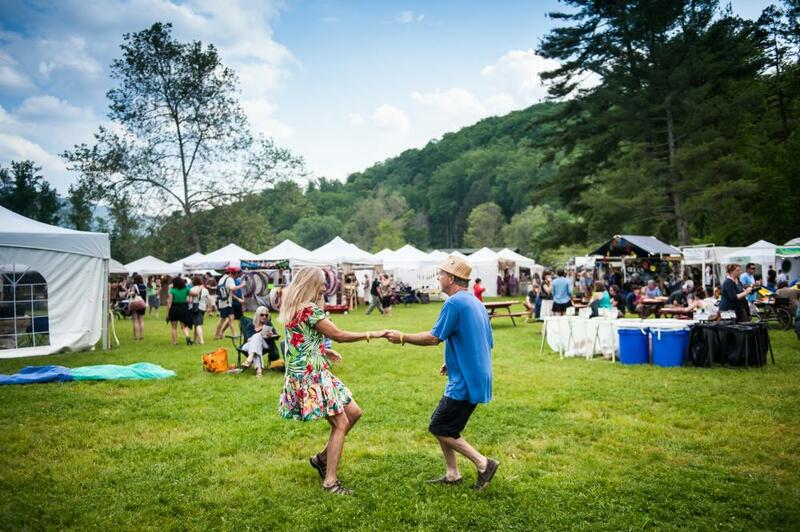 Also on the calendar: Asheville Bread Festival (April 13-14 at New Belgium), Carolina Mountain Cheese Fest (April 28 at Highland Brewing Company), Asheville Herb Festival (May 3-5 at WNC Farmers Market) and LEAF Festival (May 9-12 at Lake Eden in Black Mountain). More spring events. Photo credits: Top photo by Jared Kay. Hotel lobby photo provided by The Foundry Hotel. Whitewater SUP photo provided by Wai Mauna SUP Tours. Biltmore exhibition photo by Jason Tarr. Biltmore Blooms photo by Jason Tarr. Photo of dog in downtown Asheville by Nathan Chesky. Blue Ridge Parkway photo by John Fletcher. 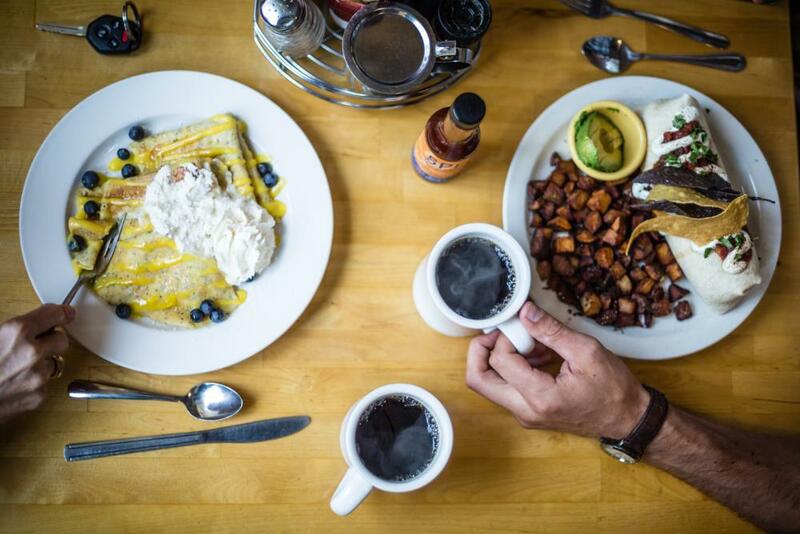 Breakfast photo by Jared Kay. Green Sage photo by Jared Kay. Red Panda photo provided by WNC Nature Center. Farmer&apos;s Market photo by Emily Chaplin. Black Mountain College Museum and Art Center photo by Jason Tarr. Lawn concert photo by Emily Chaplin. LEAF Festival photo by David Simchock.